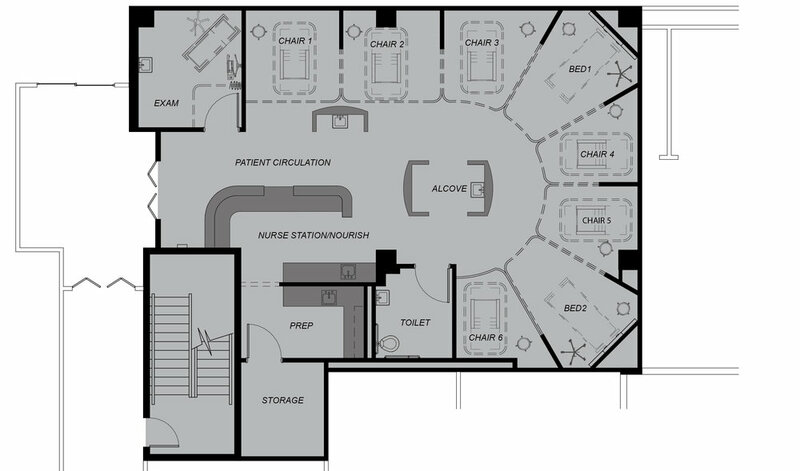 The proposal received from the AVAHCS called for renovation of existing clinic space on the 1st Floor to create a chemotherapy treatment area of 5,023 square feet and approximately 1,525 square feet of additional radiology and support space for the Emergency Department. The goal of the project is to create an environment that fosters comfort and relaxation for the veterans, staff, and visitors. Work includes “deck to deck” demolition and complete remodel of the area to house an x-ray unit and a Computed Tomography (CT) unit and support space in the Emergency Department (ED). 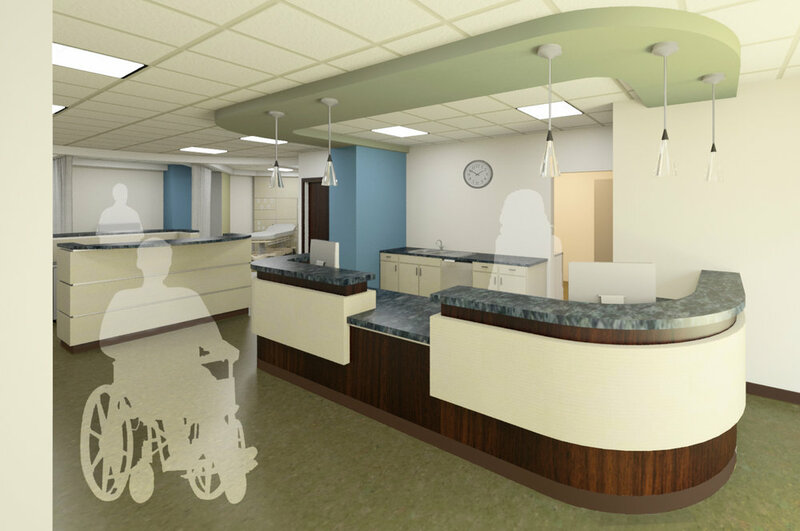 Work will also include the "deck to deck" demolition and complete remodel of space for a chemotherapy treatment area. All areas will be designed under current applicable standards and be veteran-centered while also providing as much ease as possible to staff while performing duties.